In a move that will affect several thousands of Chevrolet car owners in the country, leading insurance companies are learnt to have stopped offering covers to General Motors cars beyon the first few years. 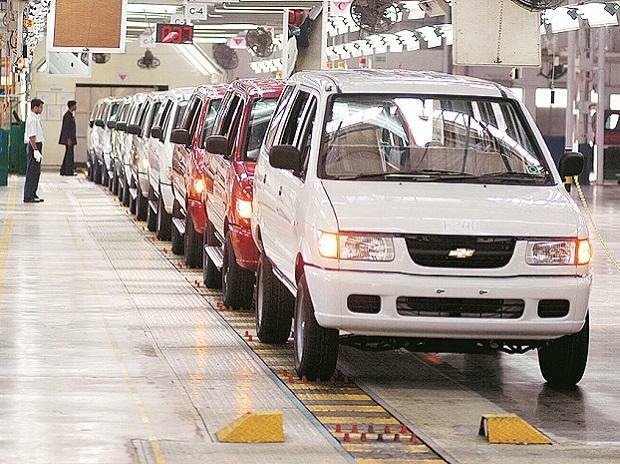 Government-owned New India Assurance Company has said in a recent circular that Chevrolet models would become “obsolete”, as its manufacturer has decided to stop sales in the country. Accordingly, the firm has advised all its branches and offices to stop with immediate effect giving insurance covers to these cars beyond three years. 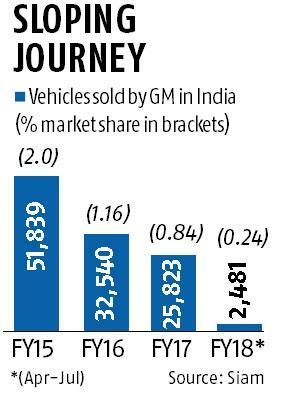 American automobile manufacturer GM had decided to stop selling in the Indian market in May this year. It, however, would continue to use India as a base for exports. GM has confirmed that a number of insurers have said they would stop providing covers. “We will individually connect with specific insurance companies to address the issue. We are confident that they will recognise our commitment towards serving our customers, which will build their confidence in insuring Chevrolet vehicles,” a GM India spokesperson said in response to queries. GM has sold about 112,000 vehicles in India since FY15. Its cumulative sales since its entry in 1995 would be much higher, at a few hundred thousand units. A Reliance General Insurance spokesperson said they did not wish to comment on the matter. An ICICI Lombard spokesperson did not comment either. Industry executives said some insurers are still evaluating the matter and a decision may follow soon. GM has said it has a comprehensive plan to provide warranty and service support for many years to come. “GM India will continue to work closely with all dealer partners to sustain an appropriate service and repair network for Chevrolet customers in India. The customer support center will remain open and we will continue to honor all warranties and service agreements, as well as ongoing service and parts requirements for all vehicles through our 200 service stations,” the spokesperson said. GM India has converted its Talegaon plant near Pune into an export hub. The plant is churning out the left-hand-drive hatchback Beat for the Mexico market. GM’s plant in Halol, Gujarat, is being sold to Chinese auto manufacturer, SAIC, which announced its foray into India some time back.